Keep trees fresh by watering daily. Check decorations for certification label. Stay in the kitchen when something is cooking. 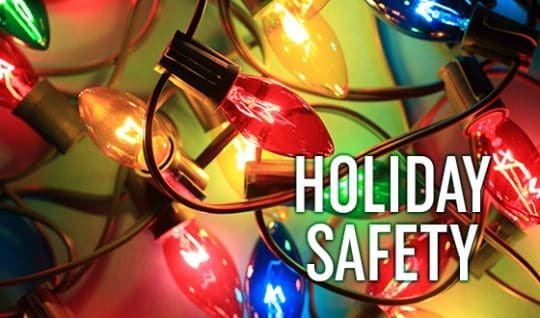 Turn off, unplug, and extinguish all decorations when going to sleep or leaving the house.